I wanted to design a tea cosy to celebrate and commemorate the Queen's 90th Birthday. Having already designed a Queen tea cosy before in 1950's style, I knew I had to think of something different for this cosy. I wanted to make something special and iconic to the English Monarchy, and I thought the Queen's Golden State Coach would be perfect. And she might even have a ride in it on her Birthday too which would be amazing. The actual carriage was made back in 1762 at a cost of £7,562. I have had to simplify the design, because the actual state coach is so complex and detailed with paintings on the lower sections and three cherubs on the roof and and four tritons at the wheels. 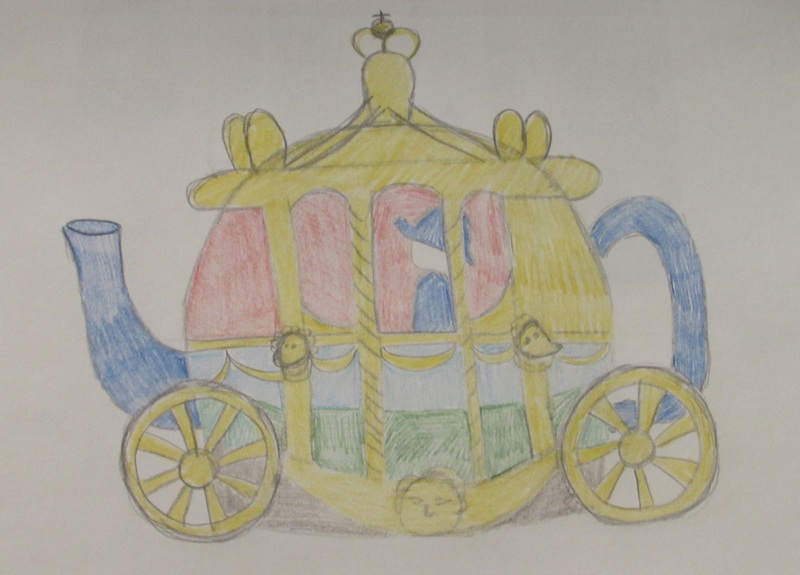 My golden state coach design is a nod towards the real thing, but inevitable will end up more rounded like Cinderella's coach due to the shape of the teapot. I also aim to have an image of the queen sitting inside the carriage.